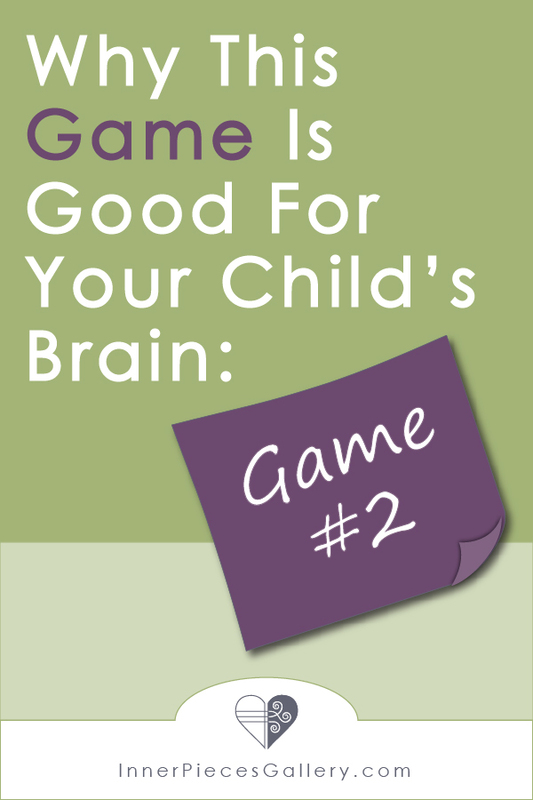 When I introduced Game 1 in this series, Why This Game is Good for Your Child’s Brain, I also discussed the importance of visual spatial skills. Of course, that’s just one area that children who have gaps in their learning abilities may have difficulty with. Would you believe they may also experience difficulty with rhythm? That’s right. Plenty of research suggests that poor rhythm may be intimately tied to learning difficulties. To be clear, rhythm is not exactly the same thing as keeping a beat. You don’t need to know the subtle difference between them, but for our purposes here, I will speak about them both as they relate to your child’s learning challenges. If you’ve ever seen your child dance, then you probably already know if your child has trouble with rhythm and beat. If you noticed any resemblance to the moves of Elaine from Seinfeld, that’s your first clue. Is your child uncoordinated or clumsy? Are hand games difficult to learn? You might notice that your child doesn’t have any trouble sounding out words and yet reading fluency is still poor. Why? Because reading has a rhythm to it. We pause at commas and periods to help with the rhythm of reading. We break words down into syllables, which also have a rhythm to them. If reading fluency is poor, this may be due to difficulties with rhythm and beat. Difficulty processing language as well as attention challenges may also point to trouble with rhythm & beat. Should you run out and sign your child up for music lessons, or dance lessons, or both? Perhaps. But let’s look at another way that you can strengthen this important skill. 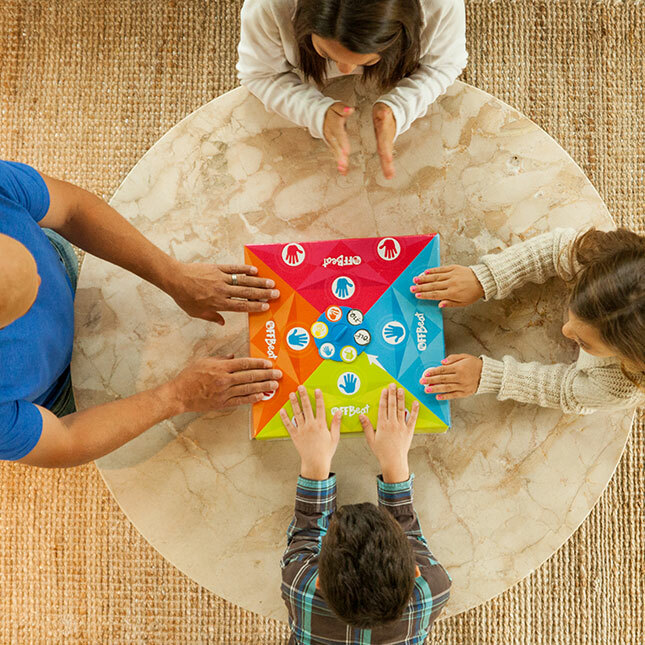 Whether you play this game with the whole family, or use it as therapeutic intervention, Off Beat helps children strengthen multiple skills at once all while they learn to keep the beat. Together you will snap, clap, and follow the actions given on the designated cards. If you’re the last person in the round to keep the beat, collect a disk. Collect 6 disks and win the game! Oh, so many things to love. Aside from strengthening the important learning foundation of rhythm and beat, Off Beat provides practice with so many more learning skills. It strengthens sequencing. Concepts like before, after, or what comes next can be challenging for some students. It strengthens processing speed. Hooray! It requires a significant amount of attention, which means that your child is strengthening this skill without even knowing it (most likely). And, it strengthens memory. If you know me, or have read this blog for a time, then you know how much I believe in strengthening all learners’ memory skills. Play with 2, 3, or 4 people. You can adapt the game for younger children. You can let loose and speed up the rhythm to hyper-speed! Let that inner perfectionist go. Want to see Off Beat in action? Fat Brain Toys has a video for you. Once again, no affiliate link here. Just the joy of sharing more learning tools with you. Speaking of… you can find game #3 here.